Seabourn Encore will be christened in a gala naming ceremony in Singapore on January 7, 2017. I will be there for the event, so be sure to watch this space for coverage and live reports. International recording artist and world’s best-selling Soprano Sarah Brightman will do honors as godmother of Seabourn’s newest vessel, the intimate, all-suite Seabourn Encore. Brightman will preside over a glittering evening ceremony and all-around festive occasion, attended by guests and crew departing on a 10-day maiden voyage bound for Indonesia. Guests on that maiden voyage will begin a 10-day journey through Southeast Asia, with calls on Surabaya, Java; Celukan Bawang, Bali; and Slawi Bay, Komodo, Indonesia. [/media-credit] Seabourn’s thoughtful design isn’t lost on the line’s luxury-seeking clientele. Throughout the rest of next year, the ship will sail to ports around the globe, stopping in Australia and New Zealand before returning to the Mediterranean in the spring of 2017, where she will spend the remainder of the summer. Despite her similarities to her fleetmates, Seabourn Encore is actually the largest ship ever constructed for Seabourn, coming in a 40,350 tons. What differentiates her from her sisters is an additional passenger deck and newly-reconfigured public spaces, based primarily on feedback from Seabourn’s past guests. In charge of her overall design is Adam D. Tihany. Mindful of the fact that Seabourn guests can sail for weeks or even months at a time onboard the same vessel, Tihany designed public spaces that are different and unique, heightening the sense of discovery as guests move about the vessel. The interior design of Seabourn Encore is noteworthy for its sleek, contemporary appearance, with plenty of curving surfaces and rounded edges. 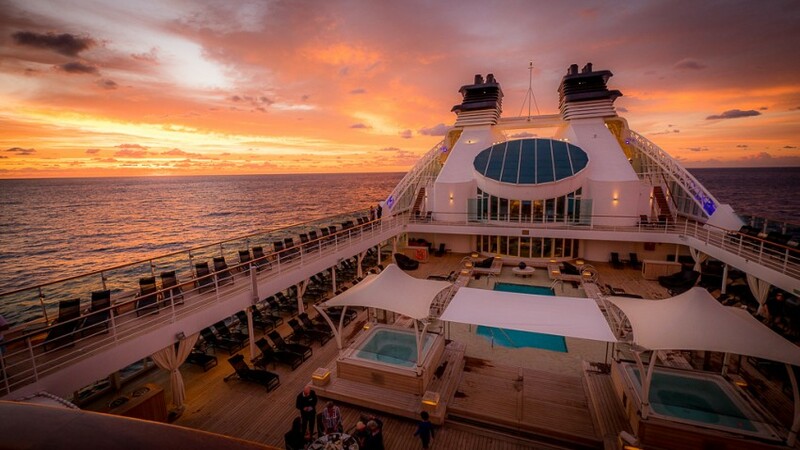 A sister ship – Seabourn Ovation – is due to enter service in 2018.